There are different types of cerebral palsy. Forms that affect one side of the body, just the legs, and the whole body. Some children will have low tone (floppy), some will have high tone (spasticity), and some will have a mixture (dystonia/dis-kinetic). How we treat the forms of cerebral palsy vary greatly. Strength training because a spastic muscle is actually a weak muscle. A combination of massage and activating muscles that are “turned off”. The Timmermans Method helps children to become stronger, helps them relax their muscles while turning on other muscles to balance out the stiffness, then gets them to move more. This results in children being able to develop to a level of ability otherwise thought out of reach. Downs Syndrome is a congenital disorder arising from a chromosome 21 defect, usually an extra copy (trisomy-21), causing intellectual impairment and physical abnormalities. It is generally believed that children with Down’s Syndrome cannot increase their level of functioning. The Timmermans Method team continually experience children with Down’s Syndrome making significant improvements in cognitive functioning, motor development, expressive and receptive language, intelligence and social skills, often entering school at the same level as their peers. The Timmermans Method develops a comprehensive treatment program that specifically targets the areas of brain that are disorganized, and teach the parents how to do this program at home, with the support of our allied health team. Over the years, The Timmermans Method has helped many children with learning disabilities. Today, we specialize in children that have a combination of learning disability and poor co-ordination or/and movement issues. We use a combination of therapies for this treatment. Firstly, we use the Delacato method to help a child’s brain rewire. This method helps improve the brain’s organization for receiving information, storing it, and reproducing it when needed. The Delacato method focuses on stimulating the maturation of movement, balance, hearing, and sensory function. Once a child receives the full benefit from the Delacato method we then utilize methods for reflex integration. Integrating reflexes can be considered the final stage of overcoming learning disabilities. Sometimes referred to as global developmental delay, developmental delay is when a child experiences any significant lag in their physical, cognitive, behavioral, emotional, or social development, in comparison with the norms. At least 8% of all children from birth to six years have problems and delays in one or more areas of development. Some have global delays, which means they lag in all developmental areas. Today, with advancements of genetic testing, children who in the past would have been diagnosed as having developmental delay are now found to have genetic disorders. The genetic disorder causes the child’s brain to develop at a slower rate than other children. Though intensive sensory and motor stimulation, The Timmermans Method helps a child with developmental delay to increase the rate at which they develop and sometimes catch up. The earlier a child starts intensive therapy the better the outcome will often be. Children who have near drowning accidents often end up with very severe injuries. The Timmermans Method team are experts in helping children in this category, having studied additional therapies and techniques that are specifically focused on working with near-drowning cases. The Timmermans Method has been used with stroke victims from as young as 6 months through to 71 years old. 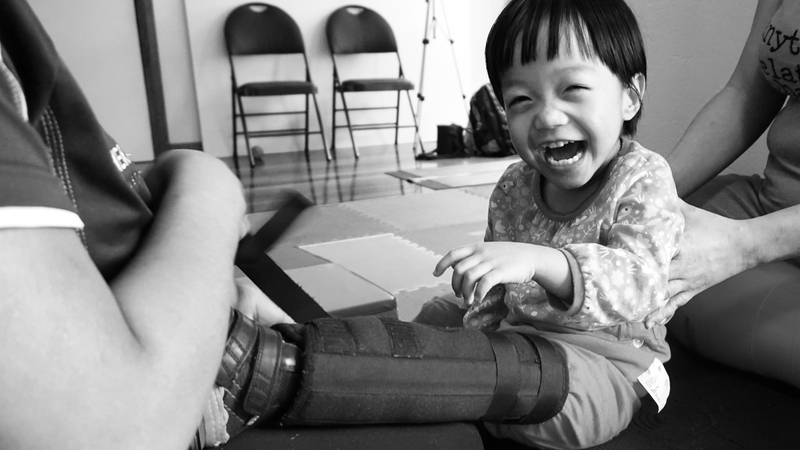 The therapy focuses on increasing awareness of the affected limbs and restoring motor control. For some clients, this means going back and learning basic movements such as rolling and crawling, while others require strength training and re-learning to walk. The therapy tends to involve continual work on sensory processing, balance, and refined movement interspersed with blocks of intents therapy. The Timmermans Method team has had much experience in this area. Often there is a situation where a child goes undiagnosed. Sometimes it is a case of genetic testing not being able to identify the problem. It can also be a mitochondrial disorder where there is a problem processing sugars at the cellular level. Other times it is a situation of a child having a brain-injury that does not show up on an MRI. In any case, while the child is left undiagnosed, the child still needs to have therapy. The ‘‘Timmermans method’’ is based on a unique combination of the following methods: Therasuit, Cuevas Medek Exercises (CME), Delacato sensory integration, reflex integration, neuro-motor-sensory therapy and hydrotherapy. We believe in the holistic way we treat developmental conditions. Instead of looking at the child’s problem from one view, we are able to look at their situation from multiple perspectives. This diagnosis process is what sets us apart from all other therapy methods. The Timmermans Method is complimentary to standard early intervention. In order to help kids make big gains, often we first have to go back and work on the foundations of their ability. If a child can’t walk, then we need to go back and teach them to roll, crawl, balance, improve their strength, then they will walk with greater control. We help children overcome barriers and give them a boost in their development. The results our kids achieve in a three week intensive therapy is the same as children normally get from nine months of standard intervention. We choose to be a personal family centered clinic. We are able to put our full focus on the clients and their families. Our therapy is only 1:1 in private therapy rooms. This increases the speed of which the brain can learn as distraction is reduced. The Timmermans Method is a holistic approach to increasing the capabilities and functioning of children with special needs. The method originally started in 1962 by Tim & Claire Timmermans and is carried on by their son Chad Timmermans. Now the method uses a combination of many different methods to get the best results for children and their families, often where other therapies have failed to help. 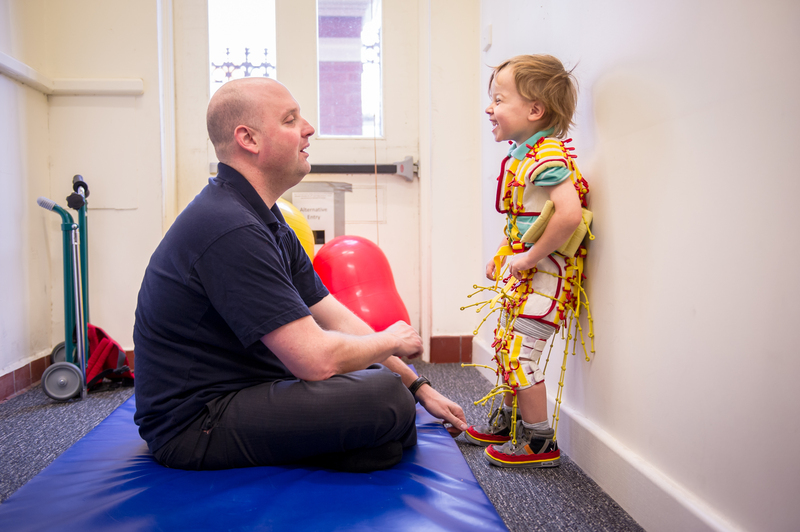 Having carried on from the work of his parents, Chad is now a specialist in early childhood development, paediatric rehabilitation, and brain-injury recovery. Chad, apart from being a registered applied psychologist and accredited exercise physiologist, has also studied many forms of paediatric therapy including: INPP reflex integration, the Therasuit method, water therapy, Delacato sensory therapy, Brain-net method, nutrition for brain-injured children, vision therapy, whole body vibration, myo-fascial release, anti-spasticity therapy, early childhood intelligence and education methods, feeding therapy, and many other strategies. Australia, New Zealand, and Asian countries, with remarkable results. Children who could not see became able to see, read, and write. Children who could not crawl became able to walk and even run. Deaf children learned to hear and communicate verbally. Others learned to feed and dress themselves. There are some children that made it to a mainstream school education, including secondary and even university. The Timmermans Method team has travelled all over the world rehabilitating brain-injured children and their families with remarkable results.